Muscatine High School Main Gym ~Ages 4-14 welcome! Clinic Info: Dancers should bring a water bottle marked with their name and wear comfy dancing clothes and shoes. 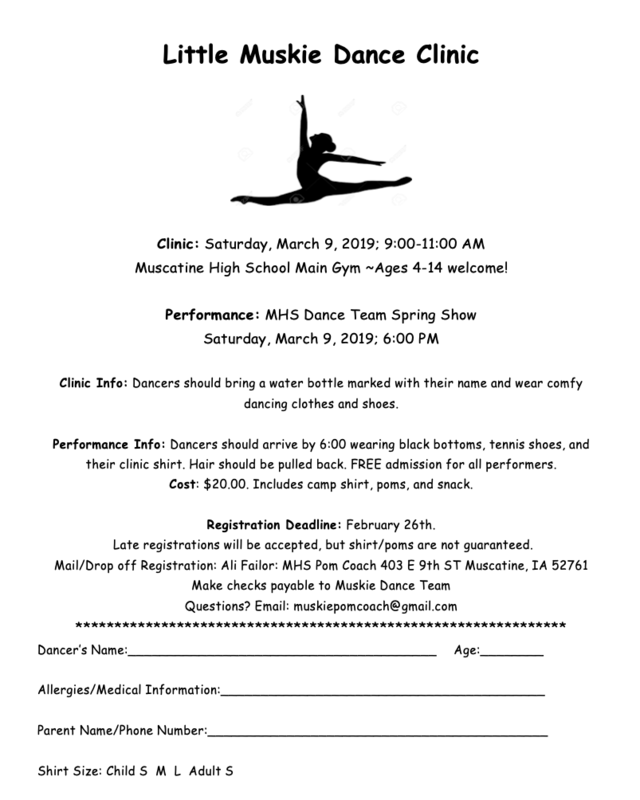 Performance Info: Dancers should arrive by 6:00 wearing black bottoms, tennis shoes, and their clinic shirt. Hair should be pulled back. FREE admission for all performers. Cost: $20.00. Includes camp shirt, poms, and snack. Late registrations will be accepted, but shirt/poms are not guaranteed.